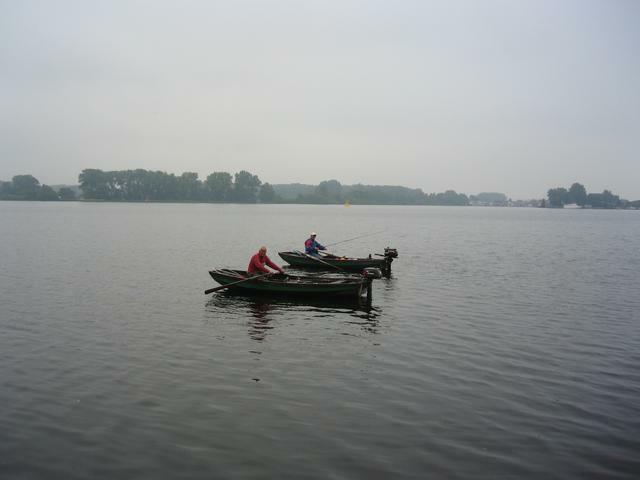 Please note that this is part of the fishing in Holland and Expats guide, the parent article can be found here. NiewMeer is a lake situated just outside of Amsterdam connects the Schinkel in Amsterdam and the circular canal of the Haarlemmermeer polder. It is reachable via tram and also by boat from the Amsterdam canals. It contains Carp, Pike, Zander, Perch and many other species ( including catfish) however it is best known for its predator fishing. As I didnt really fish it for carp the rest of this article will focus on the predator side of things however if you wanted to fish for carp you will find it relatively untouched as I only saw 2-3 other car anglers there in the years I fished it. The lake runs East – West and has the Amsterdamse Bos on the Southern side with some more wood land on the northern side. The best sides to fish from ( if you are fishing from the bank) are the Northern and Southern sides as the 2 ends ( East and West) have either a lock or a boat yard and are difficult to reach. 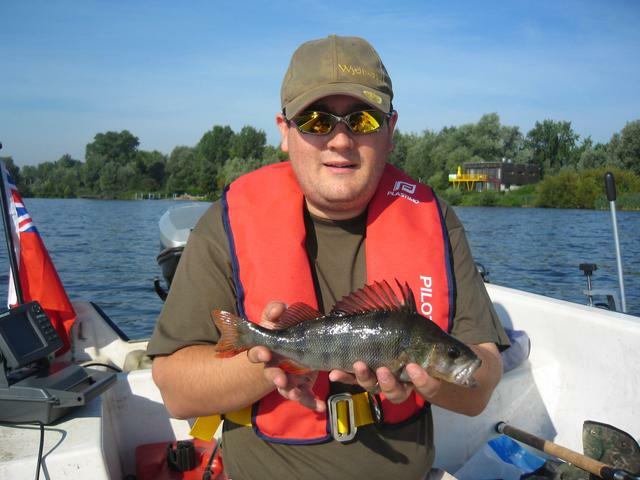 This is definitely a lake for a boat and considering the ease by which you can reach it by boat from central Amsterdam it is well worth the investment given that a basic fishing boat and engine can be had for 1500 – 2000 Eur. The lock runs 24hrs a day and is paid for out of your boat license ( which they will check). The lock is on VHF channel 67 and it is worth having a radio so that you can call them to open the lock if you approach early in the mooring or late at night. The lake was created when sand was removed for the building of Amsterdam and is very deep, and echo sounder is useful and you will be able to find spots in the 35m mark in the central channel. The edges slope off very rapidly and whilst it may only be 1m deep 1/2 a rod length from the bank it will be 4m at 2 rod lengths and as much as 12 at 4. We found that fishing a lure along the bottom of these drop off’s was very successful. Due to its size the wind can pick up on the lake and it is one of the only places where in the winter everyone wore a life jacket ( at least in my boat). In the summer ( especially on the long weekends) the place can turn into a party lake with people swimming in the lake and whilst the fish dont seem to mind, you will want to keep the lures close to the boat if trolling as people will swim over them or drive over them. Swim wise, the northern bank was always the most productive. As you enter from the lock, there are some mooring poles on the right, these are always worth a troll past and if the conditions are not too windy a drift past. Pike will often lurk around the poles as there will be prey fish present. Staying on the right hand side ( Northern bank) you will go around a head land with a sandy beach and a fence with a cattle grid. From this point onwards the lake really picks up and 95% of all of the fish I have caught have been in this area. The fact that you are now mostly out of the wind also helps but the lake bottom is far shallower and there are real features to have a look at. As you go past the 2nd of the large “No Mooring” signs on the right there is a massive sunken tree under the water at about 4m which is often worth casting a lure next to. Staying on the right hand side you will notice that there is a jetty and a ferry service to the other side. all around this jetty we nicknamed it “pike bay” as loads of fish tended to congregate due to the egg box like consistency of the bottom. The depths range from 2m to 25m so keep an eye on the echo sounder and if you keep out of the way of the ferry they will leave you alone. There is also a flat sandy beach in this area popular with children, the pike and especially the perch will be here in number but be careful you don’t drift into the shallow water as you will get wet pushing the boat out. On the Southern bank, there is not a lot really happening. The lake is far far shallower on this side and apart from the area around the wooden jetty on the southwest corner ( only fished as it is a good BBQ, pee stop with good parking) the rest of the lake is pretty barren. 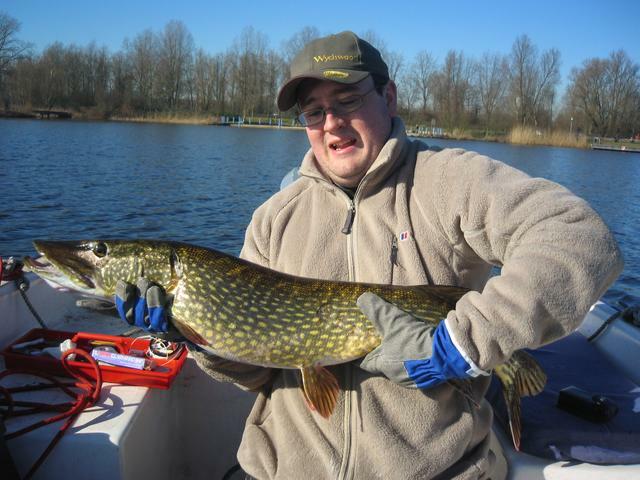 I leave you with shots of a bigish pike ( sorry about the pic, I was trying to do 10 things at once including drive and hold the fish) and of of several perch we caught after the pike stopped biting one session. 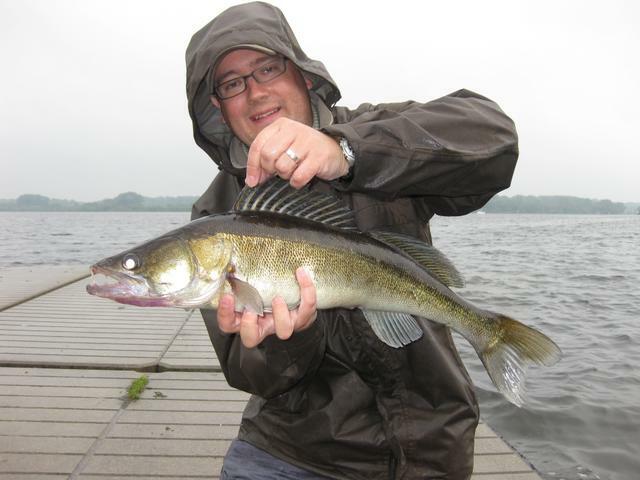 The intro picture is that of my PB zander of 6 1/2 lb which whilst not the biggest zander was satisfying as it was caught by design rather than accidentally when fishing for pike.